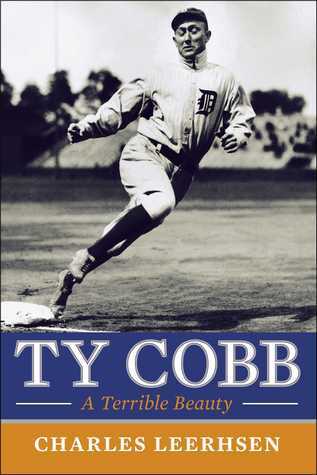 Finally - a fascinating and authoritative biography of perhaps the most controversial player in baseball history, Ty Cobb. Ty Cobb is baseball royalty, maybe even the greatest player who ever lived. His lifetime batting average is still the highest of all time, and when he retired in 1928, after twenty-one years with the Detroit Tigers and two with the Philadelphia Athletics, he held more than ninety records. But the numbers don't tell half of Cobb's tale. The Georgia Peach was by far the most thrilling player of the era: "Ty Cobb could cause more excitement with a base on balls than Babe Ruth could with a grand slam," one columnist wrote. When the Hall of Fame began in 1936, he was the first player voted in. But Cobb was also one of the game's most controversial characters. He got in a lot of fights, on and off the field, and was often accused of being overly aggressive. In his day, even his supporters acknowledged that he was a fierce and fiery competitor. Because his philosophy was to "create a mental hazard for the other man,"; he had his enemies, but he was also widely admired. After his death in 1961, however, something strange happened: his reputation morphed into that of a monster - a virulent racist who also hated children and women, and was in turn hated by his peers. How did this happen? Who is the real Ty Cobb? Setting the record straight, Charles Leerhsen pushed aside the myths, traveled to Georgia and Detroit, and re-traced Cobb's journey, from the shy son of a professor and state senator who was progressive on race for his time, to America's first true sports celebrity. In the process, he tells of a life overflowing with incident and a man who cut his own path through his times - a man we thought we knew but really didn't.